"For 70 years, Johnson Publishing provided black families with a piece of history to call their own," said NABJ President Sarah Glover. 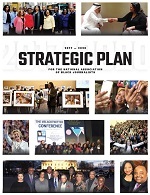 "EBONY, and then JET, were coffee-table mainstays sharing stories from black communities often underserved by their local mainstream media organizations. My hope is Fashion Fair and the magazine archives are not affected by this move." 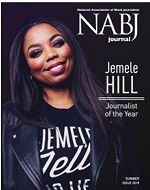 "I hope it is clear to people that EBONY and JET are now owned by CVG Group, the company responsible for operations since 2016," said Marlon A. Walker, NABJ's vice president-print. "While Johnson filing for bankruptcy is indeed separate, I would be remiss to not point out that the current owners continue to have an obligation to pay writers for work they produced, but have not been entirely paid for. #EbonyStillOwes."